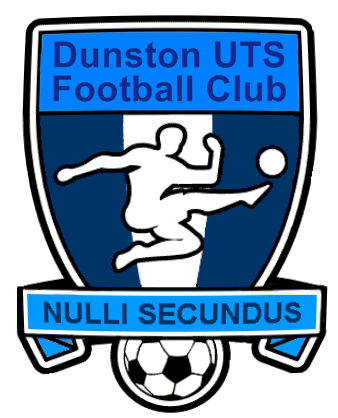 Dunston travelled south to Coleshill near Birmingham in a 4th Round FA Vase tie on Coleshill's new 3G pitch which has negated the frost and rain of the past 2 months and ensures that a game would be played. Dunston have a squad which is depleted of the cup- tied players, Bowey, Fisher and Shaw but are still able to field a strong startingline up after their 3rd round 1-0 victory against Seaham RS. Coleshill have the advantage of their pitch and last week produced a 10-1 victory in the league againstsecond bottom Dunkirk. It promises to be a competitive game. Dunston took an early lead with a Dale Burrell chipped shot over Hathaway and both sides battled in a reasonably even first half but Coleshill could not break the Dunston defence. After the interval Coleshill had the incentive to again push on for the equaliser and pressed the Dunston defence back but it was a real moment of magic as substitute Johnson jinxed one way and then the other to create an opening which saw him send a shot which went across the goal and into the top corner of the Dunston net hitting boththe cross bar and the inside of the post giving Connell no chance of making a save. The game started with both sides testing each other and it was Dunston who got the first chance on 3 minutes as a Francis free kick from the right wing had to be cleared for a corner, from the corner Wilkinson had a header which Hathaway saved pushing the ball out in the direction of Richardson who shot wide of the near post. Coleshill replied and they won a free kick on the left which the Dunston defence cleared, on 5, Richardson looking sharp attacked the defence, the ball was partially cleared to Francis who shot from 20 yards but this was also cleared. On 9 a throw in from Halliday was headed on by Morien to Burrell who seeing Hathaway off his line played in a chipped shot which entered the Coleshill net for the opening goal of the game. Coleshill were immediately on the offensive as Quanor shot from 20 yards out straight into Connell' midriff, on 14 Smith had a shot from the edge of the box and Hathaway saved, a minute later Leek played in a low cross right across the Dunston area evading all in its path to safety, this was followed by an Adkins attack for Coleshill as he went through two strong challenges in the box only to see his effort go wide of the far post. Dunston were battling to protect their lead and Coleshill had chances on 23 as Connell thwarted a pass from Quanor to Beckley and on 27 when Wilkinson cleared the ball from a Leek cross for a corner and then on 30 as a Leek shot was deflected and Connell collected. Dunston had a chance on 41 as Smith played in cross which was deflected for a corner, the corner was cleared before Milligan for Coleshill shot wide from a right wing cross from 15 yards out. Just before half time Edwards headed over from a Quanor free kick. The second half started with Richardson being played into the Coleshill box, his first shot hit the keeper only for the rebound to hit Richardson and go out of play for a corner. Coleshill were determined to get an equaliser and on 52, Smirkle shot and Connell had to push the ball wide before collecting, on 53 Smirkle shot from 25 yards which Connell collected. Coleshill continued to apply pressure on a steadfast Dunston defence which was only relieved as Leek played the ball out for a goal kick. On 60, Coleshill were awarded a free kick on the edge of the box in the centre of the goal, the free kick was taken by Adkins which Connell saved. On 62, a Francis corner was deflected over the cross bar by Smith, and 3 minutes later Francis collected a ball in the area and did well to force a corner. Still pushing hard Coleshill had chances on 68 as Leek broke into the box playing onto Beckley but Connell intervened and collected the ball and then on 71, Colborne got in a header which was headed clear off the line. Dunston lost Thear on 72 with a gashed leg in a challenge which required a visit to hospital for stitches. From a free kick just inside the Coleshill half by Hathaway, Evans released a shot which went wide of the target. On 80, Beckley played in a low shot which Connell collected, before on 85, Dunston almost increased their lead as Wilkinson headed wide from a Richardson cross. A minute later Coleshill got their reward as Johnson collected on the edge of the box , jinxing first to his left and then to his right he beat two men before unleashing a shot which hit both the back post and the underside of the cross bar giving Connell no chance. On 89, Pearson almost scored but his shot come cross went wide of the post, as the game went into added on time both sides were still looking for a winner and Coleshill had a last minute effort in the 5th added on minute as a Beckley shot was almost turned in by Johnson at the back post. Evans was sent off for a second caution after making a last ditch challenge as Dunston broke. In the third minute of extra time Johnson had a stopped by Connell and then cleared by Pearson, in the 96 minute Adkins played in a free kick which Connell saved. Dunston fighting back almost scored as Smith had a header cleared of the line before Guerin played a low cross into the area were Richardson was unmarked and able to turn the ball into the net for 2-1 to Dunston. The events which followed saw Adkins was sent off for a challenge on Burrell, followed by yet another reckless challenge by Rathbone on the by line ending his time on the pitch. In added on time Guerin had a shot saved by Hathaway before Johnson had a shot saved by Connell and then then headed over the bar from a corner. Dunston almost scored on 106 as Francis crossed for Guerin whose shot was saved low down by Hathaway. On 110 minutes Guerin secured the result again slotting home a low cross from Francis on the right. 3 - 1 to Dunston, on 117 minutes Richardson broke through the still resilient Coleshill defence and was one on one on the keeper but his shot hit Hathaway and then off bounced off Richardson for a goal kick, again a minute later Richardson forced a good save from Hathaway as he pushed his shot over the bar, wIthin another minute Guerin swept another cross from Francis beating Hathaway but hitting the post and bouncing out of play. Dunston Man of the Match: Liam Connell - Liam pulled of some important saves and kept his side still in the game. The defence played well led by Luke Gilhespy and it was an overall team performance which all the players can be proud of.